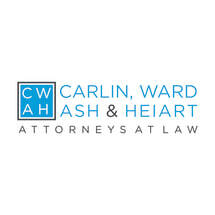 Carlin & Ward, P.C., is an accomplished, highly regarded eminent domain and commercial litigation law firm based in Florham Park, New Jersey. Our team of attorneys brings together many decades of experience protecting the property rights and financial interests of a diverse clientele, ranging from individual landowners to numerous Fortune 100 companies and prominent New Jersey and New York-based businesses. Founded in 2002 by attorneys John J. Carlin, Jr., and William J. Ward, our firm has built a track record of achievement that includes many multimillion-dollar settlements and judgments in our clients' favor. Our reported decisions and outcomes largely speak for themselves. Far from standing on that legacy, however, we have invested heavily in cutting-edge information and communications technology. We are committed to delivering the real-time responsiveness and innovative strategies your high-stakes challenges demand. Attorneys James M. Turteltaub and Scott A. Heiart are also partners at Carlin & Ward, P.C. Collectively, our lawyers have a vast range of invaluable experience in government service and private practice. We have proven strengths across a broad spectrum of complex litigation, including matters of New Jersey land use and development, real estate tax appeals, contract disputes, employment law, securities law and more. You want knowledge, perspective and dependable information from the law firm you hire. You expect credibility and integrity, but you also deserve to have your needs prioritized at a level beyond what a large corporate firm will offer. If you are confronting a problem within the realm of New Jersey land condemnation or a business-related dispute that requires thorough analysis and decisive action on your behalf, we encourage you to contact us at Carlin & Ward, P.C.